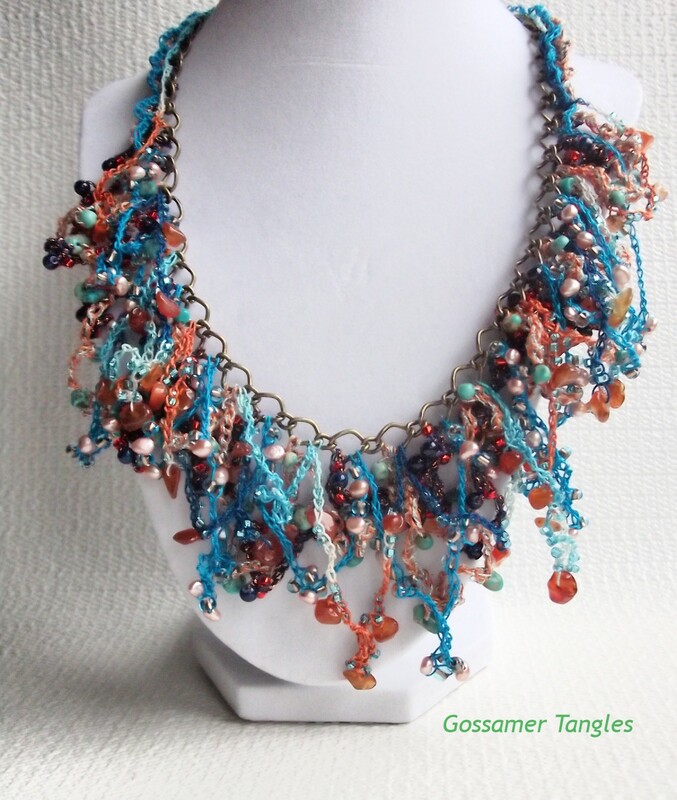 Shortly after I began Gossamer Tangles, Jocelynn Brown, a columnist for the Detroit News, interviewed me for a feature article in the Detroit News' magazine, Homestyle. 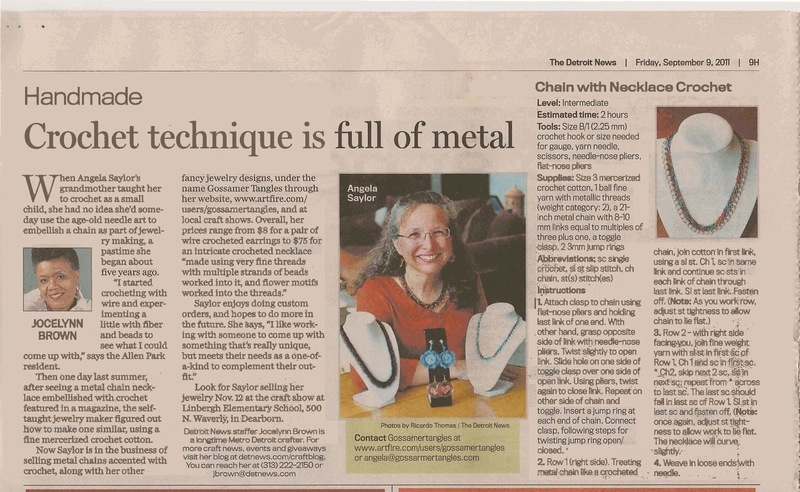 She was particularly interested in a technique I was using to create necklaces by crocheting into metal chains. 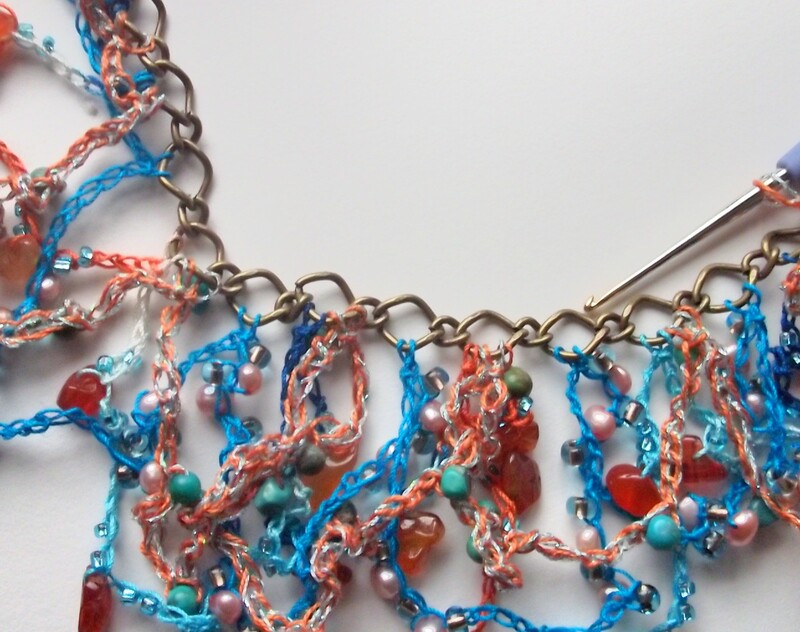 After going on to explore other design ideas, I recently came back to the idea of crocheting into chains. It is a very simple idea. Basically, the metal chain is treated in exactly the same way as a chain stitch foundation, with stitches for the following row being worked into the chain links. Here are a couple of the more recent pieces I've done utilizing this technique. 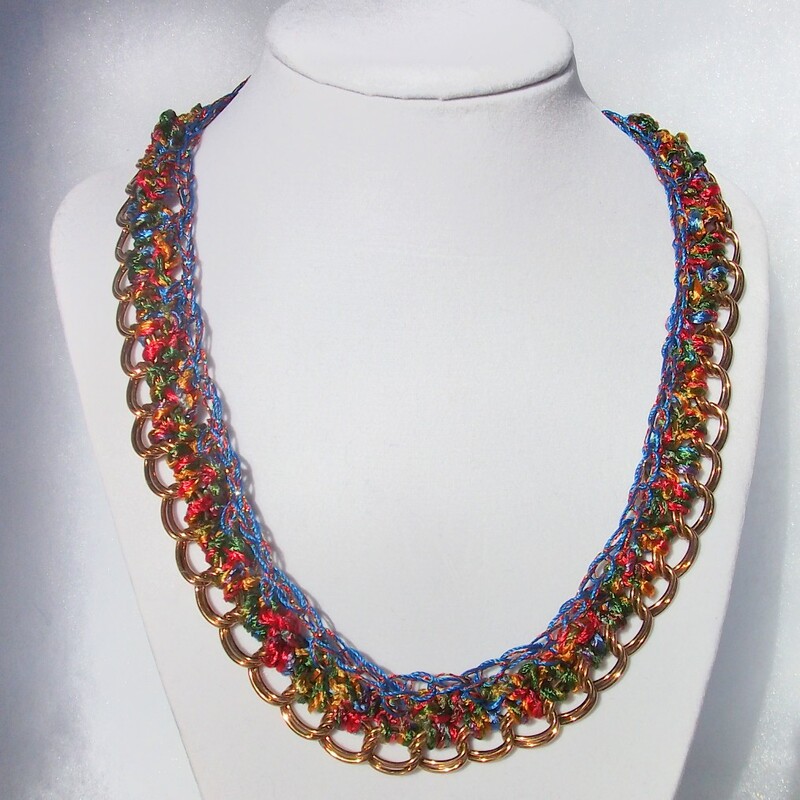 This week, I decided to try a new variation of this design idea -- working swags of beaded chain stitches along a metal chain to create a more bohemian-style design. I didn't want to have the swags along the entire length of the chain, which would have given the piece more of a collar look. 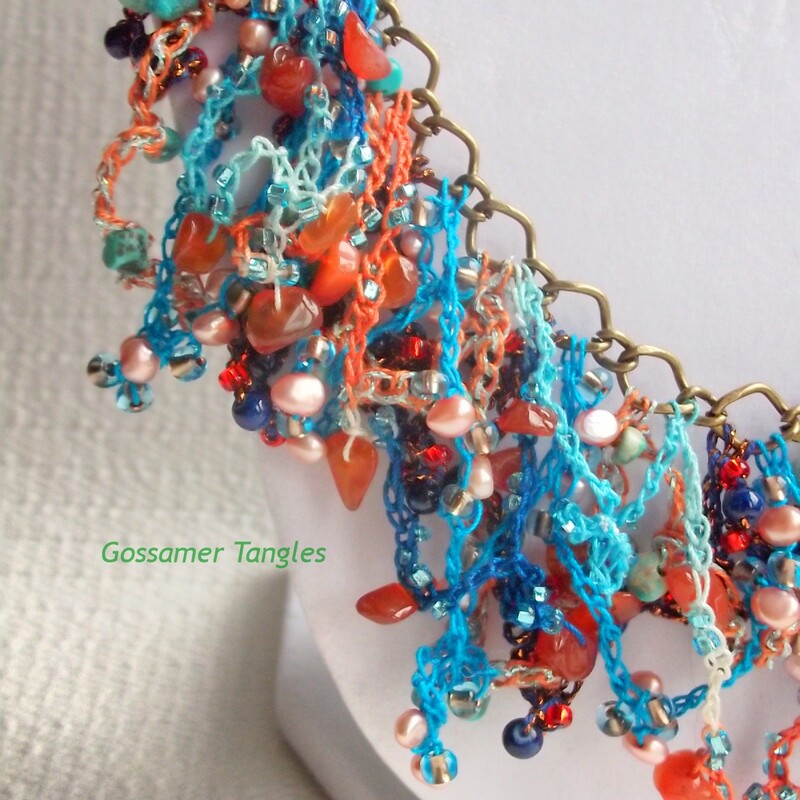 I wanted the beaded chains to be somewhat intertwined and appear tangled. 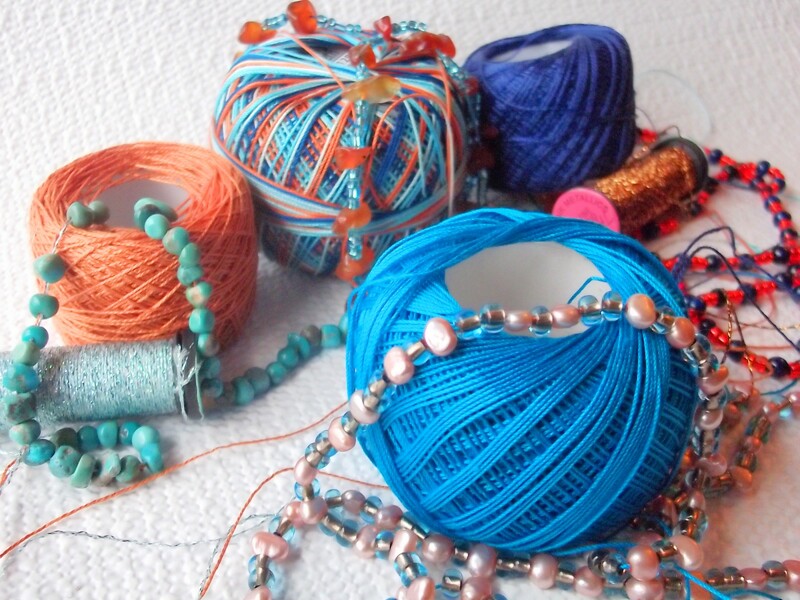 To get this look, I decided to use four separate strands of threads and beads formed in chain stitches. 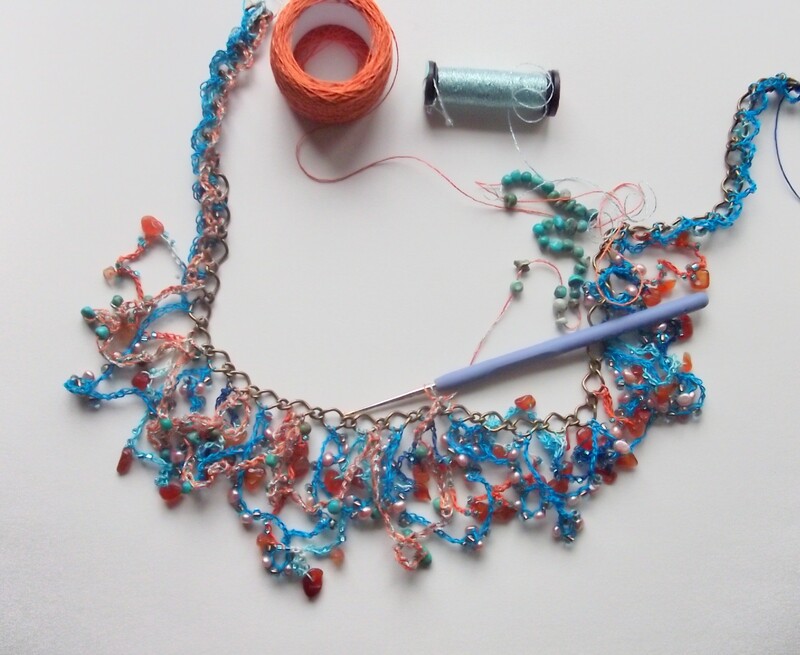 I worked very short links of chain stitches along the part of the chain that would go behind the neck and along the shoulder, and then began the swags toward the front of the neckline. 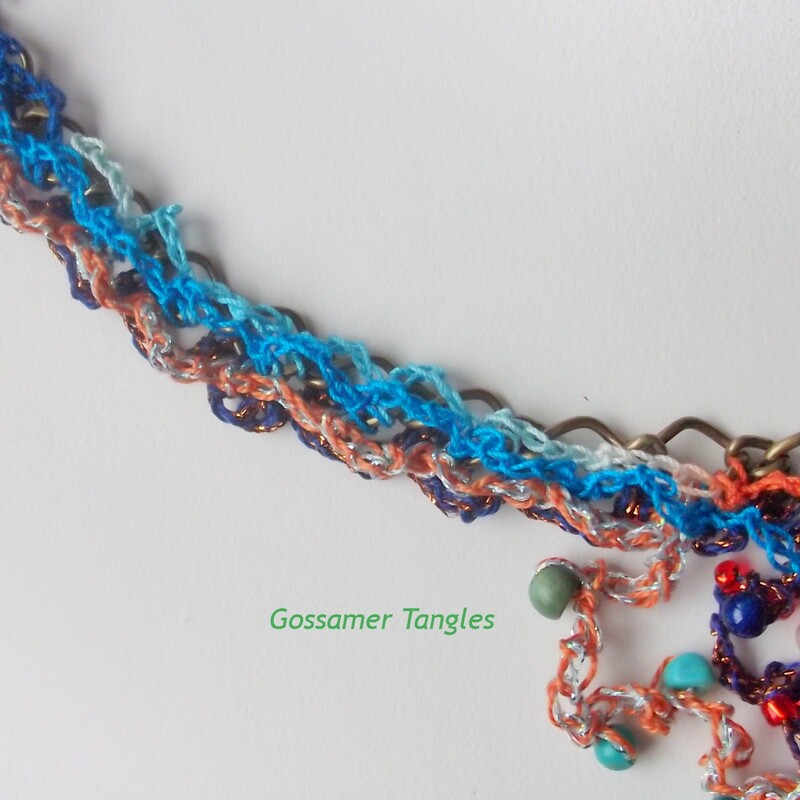 I alternated the lengths of the swags, and I alternated the links in the chain where I anchored the chain stitch swags with single crochets. 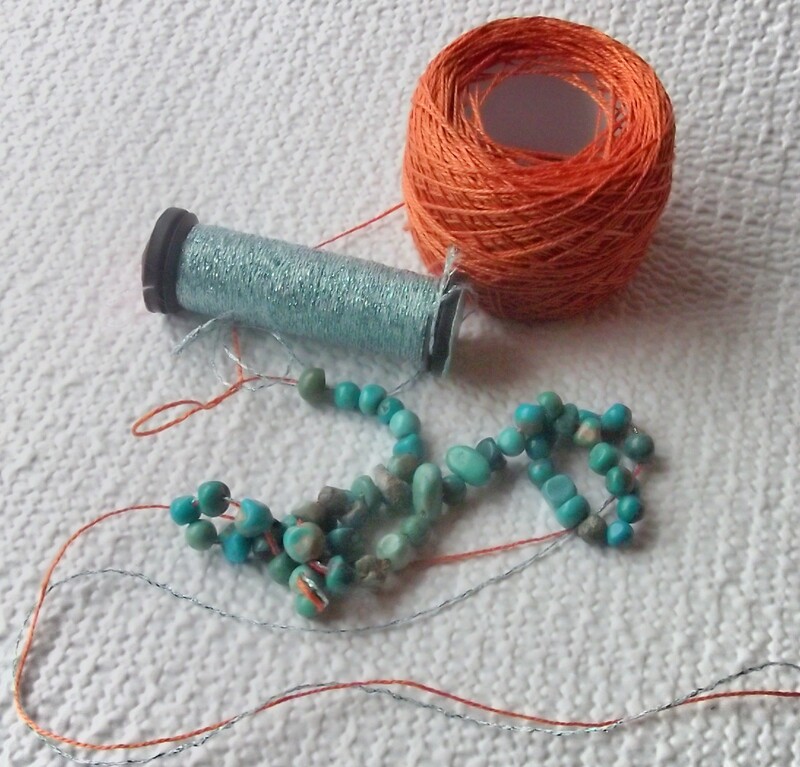 The first steps in creating this Chain Reaction necklace, involved working out that design and then determining what the fiber color, bead colors, and bead pattern would be for each strand. 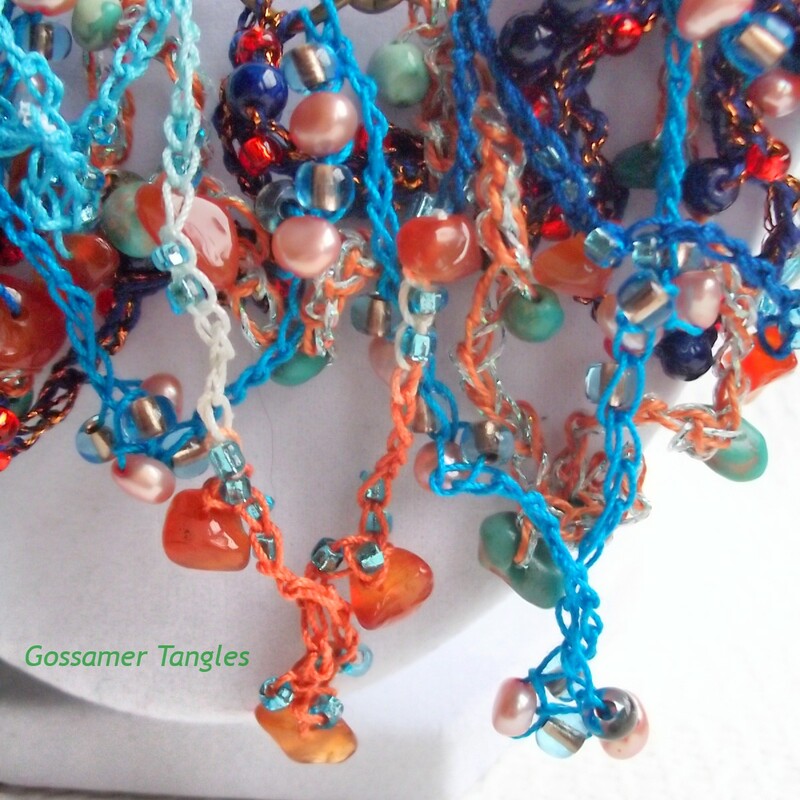 The details of the bead pattern and number of bead pattern sets was critical, because the beads had to be strung before crocheting the swags along the chain. 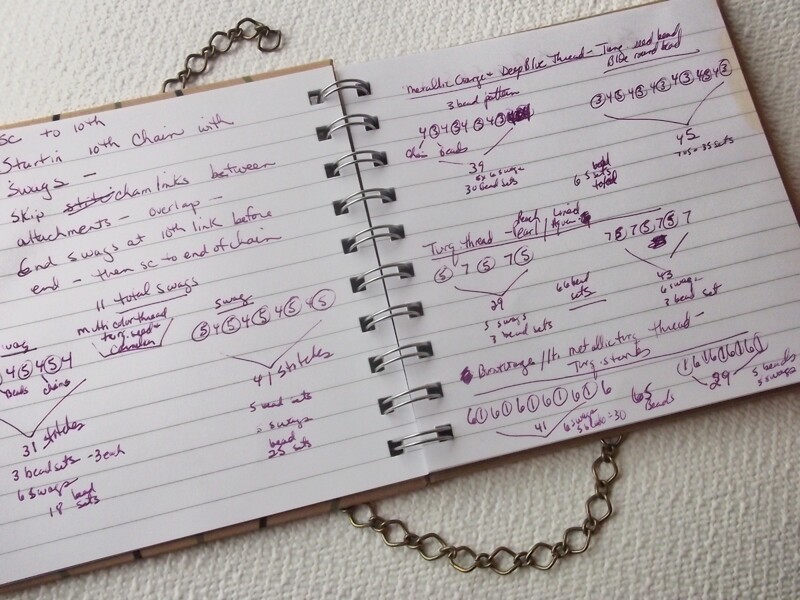 I worked out my ideas in a small notebook so that I would have the numbers and pattern ideas readily available as I worked. 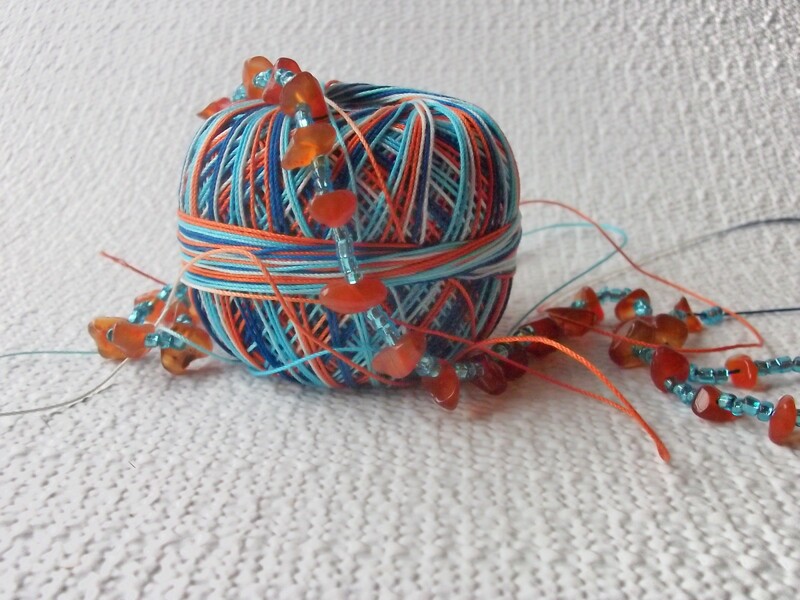 The next step was to string the required number of beads onto the threads I chose in the proper order. Finally, I was able to start crocheting! 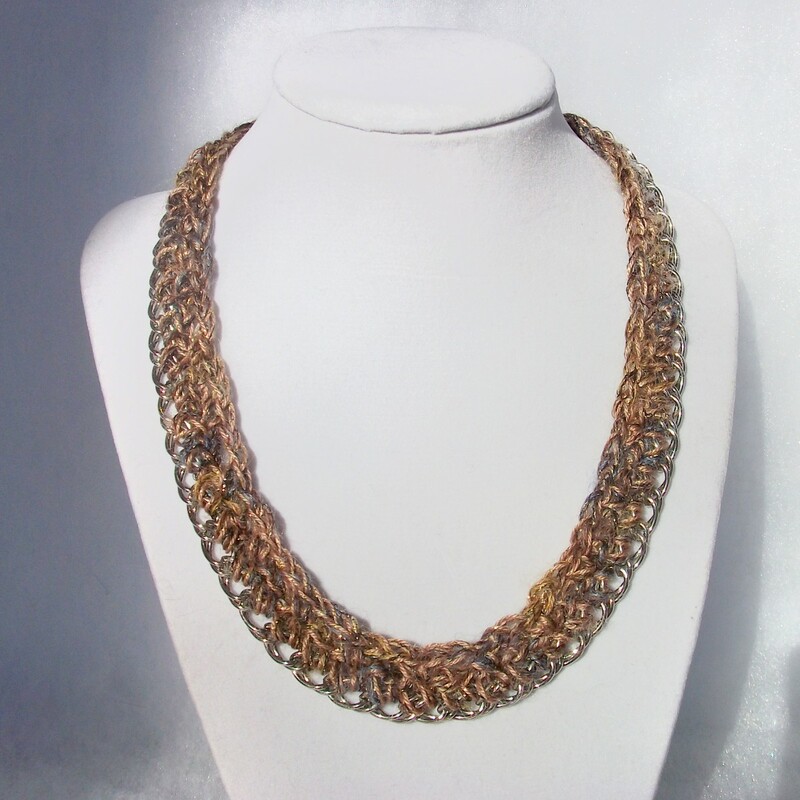 I began by anchoring the fiber with a single crochet in the first link of the metal chain. I then worked a pattern of 4-5 chain stitches (depending on which fiber and hook size I was working with at the time) followed by a single crochet in the next chain link. 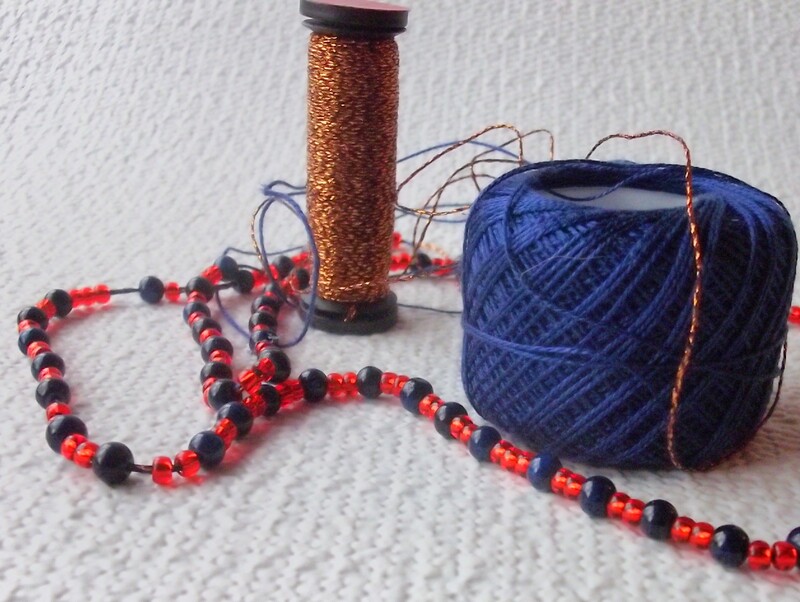 At the tenth link, I began the swags, working beads into the chain stitches in the pattern I had planned, and securing the swags with a single crochet in every other link of the metal chain. Please leave a comment and let me know what you think of this design. I'd love to know your "reactions". Thank you! I'm so happy to get the feedback! Fascinating - so many possibilities! Thank you for sharing this technique, it's awesome. You're welcome. If you try this technique, share a photo of your results. It would be fun to see what others come up with. Inspiring - it's beautiful. I have not yet tried a piece of jewelry, but maybe now. I hope you try it! Love to see photos, if you do. Oh my gosh! This is BREATHTAKING! Absolutely breathtaking! I am definitely going to try this! Wow! You could sell these for SO much money! Way to go, Angela! Thanks so much, Jenn! These necklaces take some time, but they are fun to make! I find playing with the color combinations especially enjoyable. I do sell them at the Yellow Door Art Market in Berkley, MI, and I am hoping to get my Etsy store up and running again in April, and I will have them there. Please post a photo if you make one! 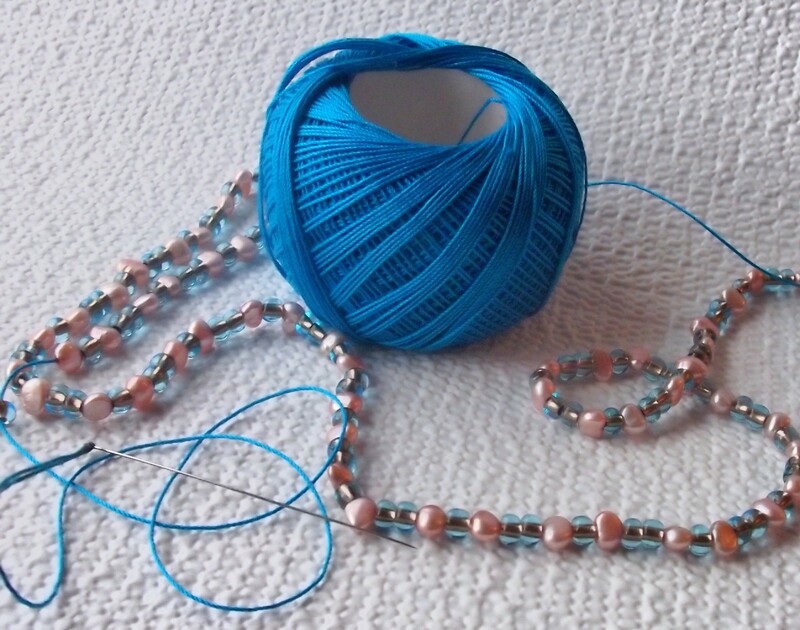 I think I might have actually found some time to make my necklace. 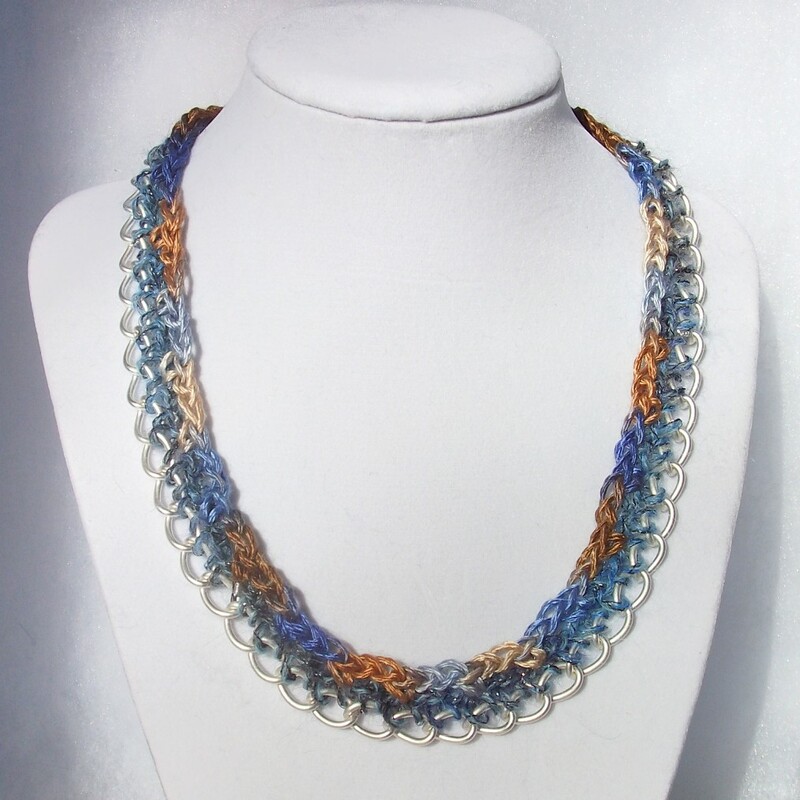 I have crocheted so many items in the meantime, I think it's time for me to make this beautiful necklace for myself. It reminds me of the beach, ocean and salt air which I miss so much! I hope you enjoy making it! 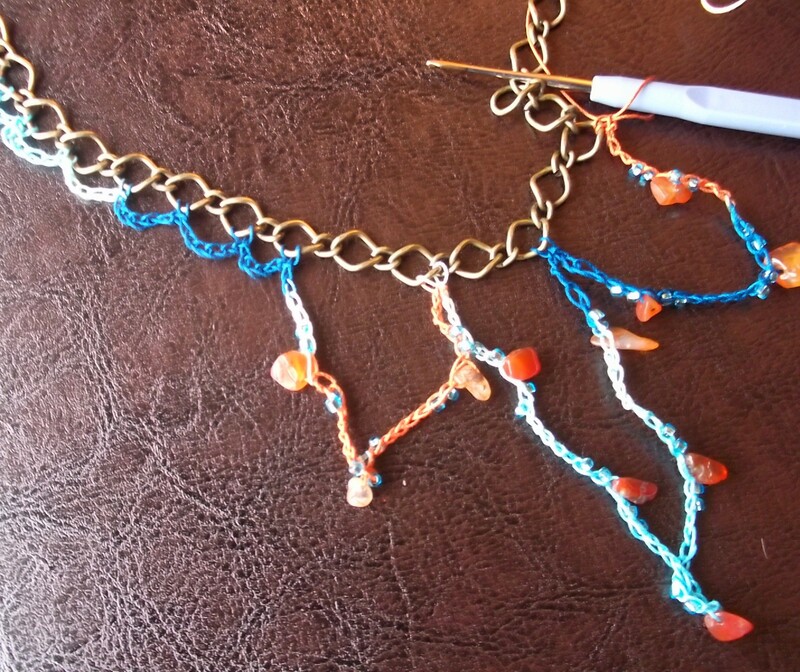 There are so many ways to be creative with this necklace design. Would love to see a photo when you're done!